2 Product Review – Who is this Product for? Angelsense GPS tracker is a safe haven for parents especially whose kids suffer from autism. The designer of the device had a similar problem. Doron Somer is a parent of a child with autism. 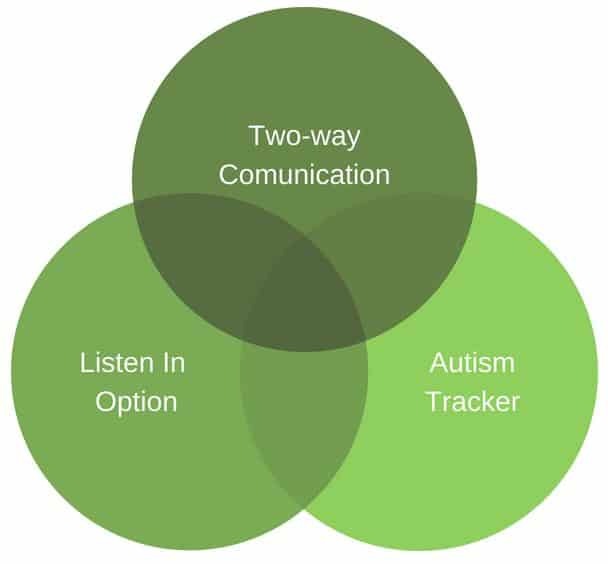 Struggling through the everyday issues every parent of autistic child is going through, he came up with the Anglesense GPS tracker, a device that will bring you a peace of mind. After undertaking an intensive research and testing the Angelsense tracker, we assure you that this tracker is fit for your child. This amazing tracker lets you view your child’s location in real time. Most importantly, you are enabled to listen to the child’s surrounding. We guarantee you that Angelsense gives you peace of mind even when you are not close to your son or daughter! This is a very powerful solution built for children with special needs. After a thorough research and testing the device, we gathered all the details you need to know about Angelsense here in this article. 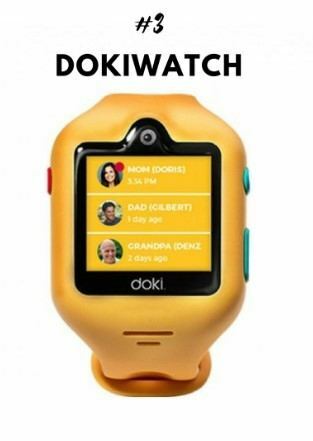 Read on and find out all the great features of this tracker for yourself and your kids! Product Review – Who is this Product for? The Angelsense tracker is by far the best device for your child. We have compiled for you each of Angelsense device features and functions. 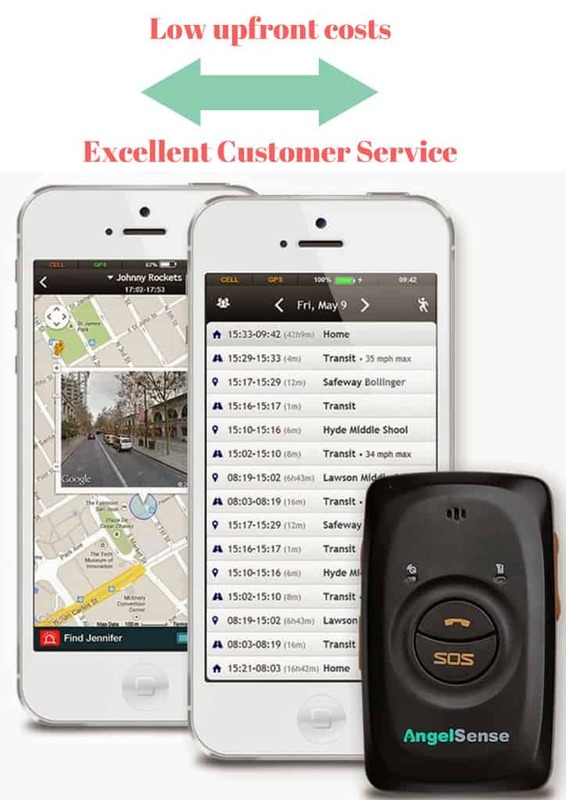 We will also introduce you with the pros and cons of the Angelsense gps, and provide you with several honest customer reviews and their personal experience with this tracking device. The Angelsense device is designed for families with an autistic child and has both calling and listening capabilities enhancing safety for your child. This feature allows you to eavesdrop on your child without being noticed and ensuring they are safe and in the right place. Angelsense tracker also helps you to determine the exact location of your children and helps you overview recent location history. Would you like to call your child to determine their location? If yes, Angelcall allows you to do just that. You can speak to your child through Angelcall and provide them with a calming and reassuring mood. Although listen-in is a really incredible feature, we have come to conclusion that the quality of the call is a little bit rough. The call picks some noise from the rustling of the clothing making it difficult to discern conversational details. For emergencies, the panic button is always on disposal. It is located right below the call button , labeled as SOS, and if in some kind of trouble, your child can press it and you will get alert that something is wrong, whatever the nature of the problem. The design of Angelsense device may be a little bit bulky. However, it is designed in a such a manner to ensure that is securely attaches to the child’s clothing. The device is designed with soft protective case and is fitted into an Angelsense belt to ensure that only the parent key can remove it. Anglesense GPS tracker has magnetic pins that ensure that the device is safely attached to the child’s clothing. We also advocate for an Anglesense belt which is securely fitted around the child’s waist. An Angelsense belt ensures that the child does not remove the autism tracker without your assistance. Angelsense tracker encloses the device into a sturdy, water resistance case. Even when the child runs into an accident, the GPS monitor is designed to keep on going. This autism tracker is a bit bulky thought, which means that your child might take some time before getting used to it. However, you should always try to help the child adapt by trying different methods of hanging. Angelsense comes along with a rich library of resources that allows parents to access information on how to use the tracking device for an autistic child. Whenever something is wrong, be assured that Angelsense will send to you a few alerts. These alerts include charge and tracking errors. Theses alerts include notifications on how to solve prevalent problems. With your Angelsense tracker, you can set up geofencing, areas and zones where your child usually navigates, whether it is the school, sports practice or at home. So every time your kid enters or leaves this specific area, you will get alert. In case your child is lost or is late for some usual activity, you will get a text message. User’s questions about this device can be answered through numerous ways such as Angelsense articles, FAQS and videos. You can also find solutions on the Angelsense app. Also there is a chat feature on the app, so you can always get a Angelsense customer support anytime you have a need for that. If you have any doubts about some of the locations or some of the data the tracker has provided for you, you can always get a detailed report from the Angelsense tech team. The first few days of using Angelsense requires you to spend some time naming places and properly setting up alerts. This serves a purpose of making sure that the errors are minimized to the lowest possible level. The Angelsense gps tracker is not very cheap, however, we can assure you that its features are worth the cost. The benefits that you are going to gain from using this tracking device will make you forget about the monthly fees and make you see them as an expense you will cover no matter what. A one year commitment reduces the cost by getting a lower up-front equipment cost and a cheaper monthly fee. If you decide to return the product within 30 days, you will get a money-back guarantee. Unless you commit into a long term yearly contract, Angelsense can be a little bit expensive. We would therefore recommend the Yearly Saver Plan which comes along with some discounts. Angelsense’ staff is no any staff out there. It is largely comprised of parents. These parents have first-hand experience with children with special needs such as autism. Without a shadow of a doubt, we guarantee you that they are willing to help you out with anything you need. Immediately you acquire your device, the customer service team is eager to help you with assistance you need. Tips on how to use the Angelsense device are plenty via email and the customer service desk. You can conveniently find these resources over the Angelsense app via mobile. This app has tips, frequently asked questions and information on how to use the device. Printed instructions that come along with Angelsense are few and may not even contain necessary information that you need. Angelsense GPS tracker gets fully charged in about two hours. If used for normal activities such as calling, the battery can last up to 24 hours. Angelsense always keeps you alert by sending numerous emails and text messages. It also has a voice alert that notifies you each time you plug in for charging. Due to the many features and options for tracking, the Angelsense GPS does not have a long battery life, so it requires daily recharge. We would therefore recommend that you charge it each night for a full day’s use, just like you charge your smart phone. 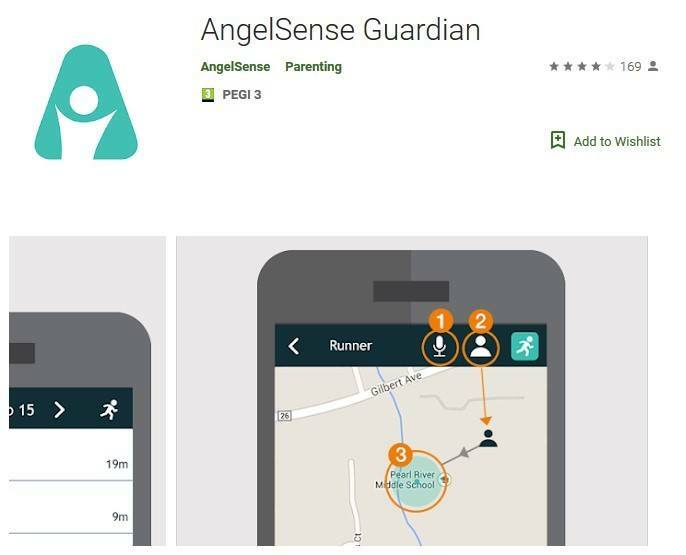 The Angelsense app is easy to use and has features that parents can interact with to improve its performance. You can easily track your autistic child via Angelsense app. The mobile app easily pinpoints location and quickly provides feedback within real time. It maintains its responsiveness even with little or no internet connection. The Angelsense app is based upon basic functionality and an easy to use design. It sometimes overlays itself in some spots thus preventing clear legibility. This is commonly caused by justification issues between sizing on mobile versus desktop. “We’ve used this for over two years for our twins who have autism are non verbal and wander. If you have any issues, all you need to do is just contact the company. They will make sure that you get all the customer support you need and solve your problem. They use 3 cell companies to help find the right coverage for you. Angelsense GPS has been recognized as a wearable GPS tracker which is oriented towards children with disabilities. It has numerous uses which parents find appealing in their family situations. Angelsense can as well be used on parents with dementia or even helping kids with disabilities to grow in a reassuring way. Not only that the parents can be aware of the location of their children, but Angelsense helps them to overcome the communication gap between the autistic child and the parent. Having tracked all of the locations and things your child is doing, Angelsense is in a way giving your child a voice. 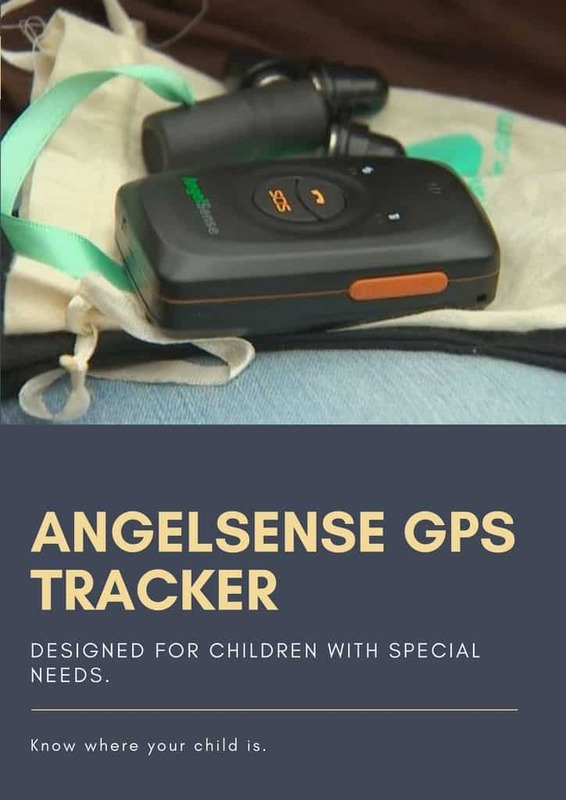 Despite the high monthly costs and the battery life, the Angelsense gps tracker has proven in many ways as the best gps tracker for all children, especially the one with special needs. You cannot put a price on your child`s safety, but it turns out, now you can. The monthly fee will be overcompensated by the benefits you will enjoy from having this device, and the calmness and peace of mind it will bring you, knowing that your kid is always safe and on the right track.